Notes Triangle box measures 20 3/4 in. at front and 34 in. at rear. 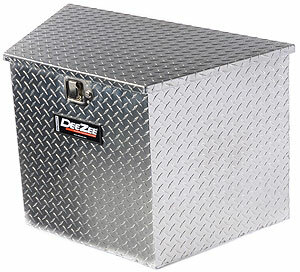 DeeZee Blue Label Series Black Single Lid Tool Box is designed to provide storage space for the tools. 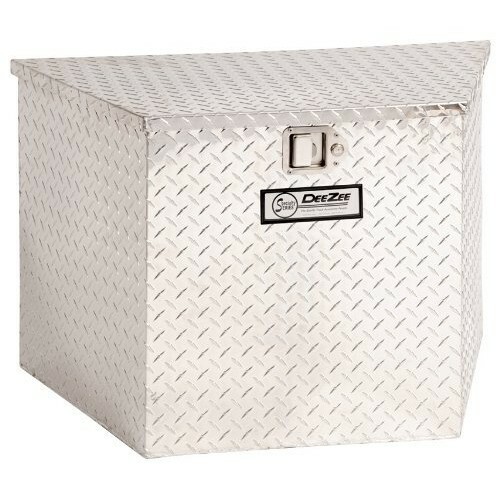 It is made from non-rusting brite-tread aluminum which ensures extreme durability. This box features a self-adjusting striker and a hidden hinge which provides extra strength. It includes dampened gas shocks which helps easy opening and closing.